When a female mosquito bites someone, it’s not doing it like a brainless zombie. It will carefully pick and choose it’s target based on a range of characteristics. One of the key characteristics includes how tasty the blood of its next victim is. There’s going to be a lot of people that do not know what blood group they belong to. This can be annoying in case you want to know if mosquitoes are likely to bite you, but it can be very dangerous in case of a medical emergency. Because of the medical urgency of knowing your personal blood group, I’d highly recommend you to get yours tested today at a local medical center, of which you can choose over 4000 locations in the United States alone. You can make your blood type testing appointment right here. It might save your life one day! And as a nice bonus, you now know exactly if mosquitoes will love your blood or not. What Attracts Mosquitoes To A Person? Metabolic rate: Faster metabolism is more at risk, if your heart rate is higher you’re a target. Other than these relatively constant factors that cannot really be influenced by people, there are also a lot of coincidental reasons why one person will be bitten more (over another). You can imagine that some circumstances will increase your likelihood of being bitten. These include alcohol levels in your blood, if you’ve just had a workout, if you’re physically closer to a mosquito, or if you’re for some reason exhaling more intense than your partner. I could probably add a whole lot of extra factors here, but you get the general idea of what mosquitoes tend to be attracted to: Scent, naturally produced body chemicals, as well as body heat. Do Mosquitoes Like Specific Blood Types? Mosquitoes will have a clear preference in terms of specific blood types, but also based on your overall metabolism and skin composition. 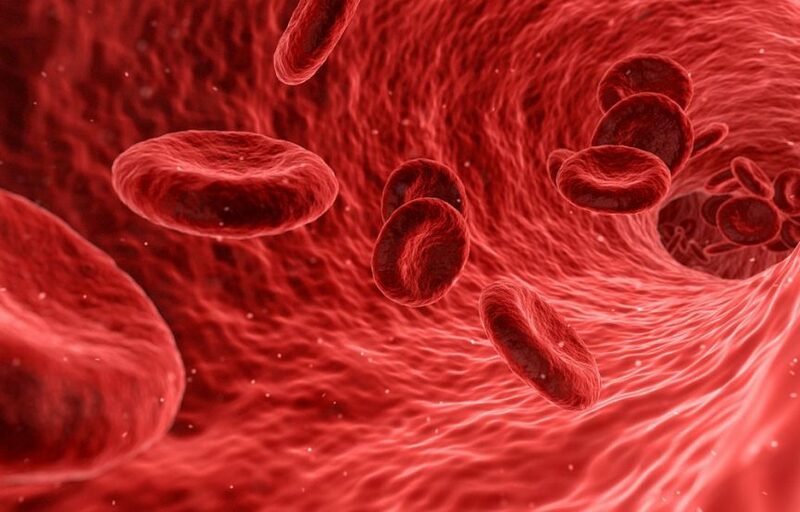 If you have O-type blood you are more likely to get bitten by a mosquito, because it will like that specific blood type over other blood type groups. So it’s not just the blood group that will determine the likelihood of biting, there is a range of other factors as well that are equally (if not more) important. A mosquito will still land on you if your blood is gross to her (it’s not going to run a blood test before deciding to bite or not). At the same time, your skin and body heat can be very attractive. So it’s not as clear-cut as it would seem. That said, do not feel on top of the world if you’re in the blood groups that are less attractive to these biting pests. It’s absolutely true that less commonly found blood groups are much less likely to get bitten. I won’t keep you waiting any longer, let’s reveal which blood types are the best if you want to get rid of mosquitoes. What Type Of Blood Are Mosquitoes Attracted To? Humans secrete all kinds of scents, of which some result from your specific blood type. Mosquitoes will be attracted to O-type blood more than any other blood types. Type B-blood groups are somewhat attractive to a mosquito, but not nearly as much as the common O-positive or less common O-negative blood type. As you can see, the pool from which mosquitoes are likely to choose their victims is pretty large. But there is also a large divide, at least for the US-population, A Positive (the best against bites) is almost just as common as O Positive (the worst against bites). If you are wondering what the general subdivide looks like in other countries, I highly recommend you to check out this Wikipedia overview about country-specific blood group distribution. Why Do Mosquitoes Like Type O Blood? The only real difference between blood types is related to antigens. Mosquitoes will like type O blood over type A blood, because of the subtle differences in their antigenic composition. There would be something in type O blood that enhances egg production. Mosquitoes pick up on this with their sensitive bodies. To humans, there are really not a lot of consequences attached to having a certain bloodgroup, other than choosing a medical donor if necessary. The mosquito thing discussed in this article really is one of the only other consequences that will impact your life. And there isn’t much we can change about it either, since all if it is based on genetics anyway. In life, sometimes you need to get lucky to be less prone to mosquito bites. So if you’re wondering why a mosquito bites you but not your husband, the likely answer can certainly be ‘genetics’. It’s a simple as it gets, and we all have to learn to live with it and accept it. 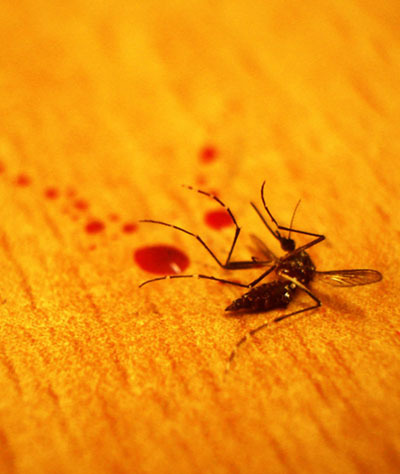 What Blood Type Do Mosquitoes Hate? The type A blood group is the least attractive to mosquitoes and type O blood will be the most attractive. While type B blood groups fall in the middle, but they do get bitten by females about 50% of the amount type O-blood people would. Type AB-blood is slightly more attractive to mosquitoes than type A blood. Hopefully, you will know in which of these groups you belong yourself, so you’ll know how ‘in danger’ you are to getting bitten. Just know that there is no such thing as ‘hate’ for mosquitoes: They will bite you either way if there are no O’s or B’s around. THey aren’t really thát picky about what they prefer. I like to compare it to pizza. Let’s say you’re really hungry late at night. Would you really decline a mediocre pizza if a friend offered you one? No, you would eat it, because you’re hungry. It’s the same for these bloodlusting insects. They will bite you, even if they don’t really find your blood to be ‘the best’ for their offspring. You would be that mediocre pizza. Because even mediocre pizza’s are ‘pretty okay’, after all. Female mosquitoes need blood for reproduction purposes. The iron and protein found in the blood are used to make many hundreds of mosquito eggs at a time, which are laid in standing water. Females do not need blood for food, they will feed on nectar, just like the male mosquitoes would do. It’s a common misconception that females require human blood for nutritional purposes. Humans are not food, they are simply a means of ensuring reproduction. A female will still survive if it cannot bite anyone, but the offspring wouldn’t be ensured. Just as much as the females seek human blood, they also seek standing water to lay eggs in. So if a part of the equation is missing, or the eggs would die in the process of growing up, the war against mosquitoes is won. This gives the human side some real confidence for the future of this battle, doesn’t it? Anyway, do find out if you’re a mediocre pizza to a female, or if you’re a delicious pepperoni with cheese. Be that I mean, let’s do a real blood test, because your life might litteraly depend on it someday. What Blood Type Do I Have? Do The Test! Perhaps you’re reading all this and understand the value of having a certain blood type, but you have no clue what your own blood type might be. I’d recommend you to get that tested as soon as possible, but not just because you want to know if a mosquito is likely to bite you. In case of a medical emergency, you also want to know your blood group. It can even be dangerous if you yourself, or your family members do not know it! That’s why I would suggest you do a simple ABO typing test, which is the medical term for learning your personal blood group. If you’re living in the United States, you can get tested in over 4000 locations across the USA, with a professional doctor. It’s not expensive at all and it might save your life! Schedule your blood type test visit right here on the PersonaLabs website. If you’re still wanting to win the battle with mosquitoes in and around your house, you can go ahead and check out some of the anti-mosquito tests and reviews I’ve created for you, which can be accessed on this page. I’ve researched and found the most effective mosquito repellents in different product categories for you. Also, you can find bite treatment solutions in there. Good luck fighting those mosquito bites! Yet my family when we have gatherings outside, all the A blood types get attacked and covered in mosquitoes and O barely even seem to get a bite.